PA(7) optimizes the body's natural process in promoting skeletal muscle growth and subsequent strength gain. Click the button below to add the PA(7) mTOR ELEVATION to your wish list. PA(7) is one of the most sought after additions to the already extensive HPN lineup. After being put through multiple independent studies, the results were something no one expected. Its ability to promote lean muscle growth is making it one of the most anticipated products in the fitness market! PA(7) is formulated from the beneficial components of phosphatidic acid (PA). This groundbreaking nutrient was only recently uncovered within the intricate structures of plant biology, making PA(7) a naturally sourced muscle enhancing supplement. What sets PA(7) apart is its unrivaled position in the market as one of the true natural supplements that is making it easier for thousands of Americans to experience considerable health benefits such as: healthy muscular growth, improved muscle retention, and ease of fat loss. PA(7) works on a cellular level to optimize the body’s natural process in promoting skeletal muscle growth. 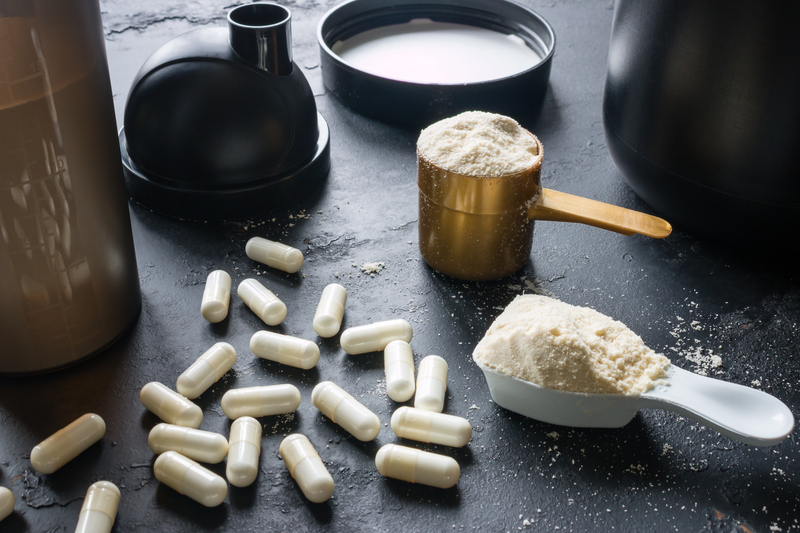 Multiple independent studies found that PA supplementation produced considerable benefits in promoting muscular growth and subsequent strength gain. In combination with a committed strength training routine, PA(7) has the power to significantly benefit your health. However, it can also be beneficial to anyone looking to promote muscle retention. As we age the body becomes susceptible to diminished strength and excess fat. By targeting one of the primary sources of muscular growth in the body, PA(7) taps into the body’s natural ability to promote healthy muscle. Within the human body, the receptor mammalian target of rapamycin, known as mTOR, has been reported as essential for the growth of skeletal muscle. Scientists have discovered that the body can trigger this receptor to take action by supplying it with PA.
Several studies have concluded that PA supplementation is sufficient in triggering a response from the mTOR receptor. In fact, it has exhibited noticeable effects on strength development. PA(7) serves as a consistent and reliable source of PA to promote muscular development by triggering the mTOR receptor, making it an essential fitness supplement. Suggested Use: Take 2 capsules per day immediately upon waking or 30 minutes to 1 hour before exercise. Individuals looking to combat age related muscle loss may start with this dosage and increase as desired. For Intense Training: On workout/training days (up to 6 days per week) take 4 capsules of PA(7), 30 minutes to 1 hour before workout/training session.